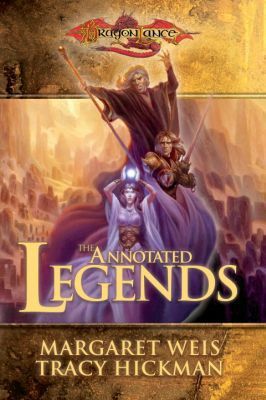 A key trilogy in the Dragonlance line, collected in an annotated paperback. This annotated version of Time of the Twins, War of the Twins, and Test of the Twins contains extensive notes by The New York Times best-selling authors Margaret Weis and Tracy Hickman. The three titles deal with all of the Heroes of the Lance, but primarily with the most popular character in all of Dragonlance, Raistlin Majere.